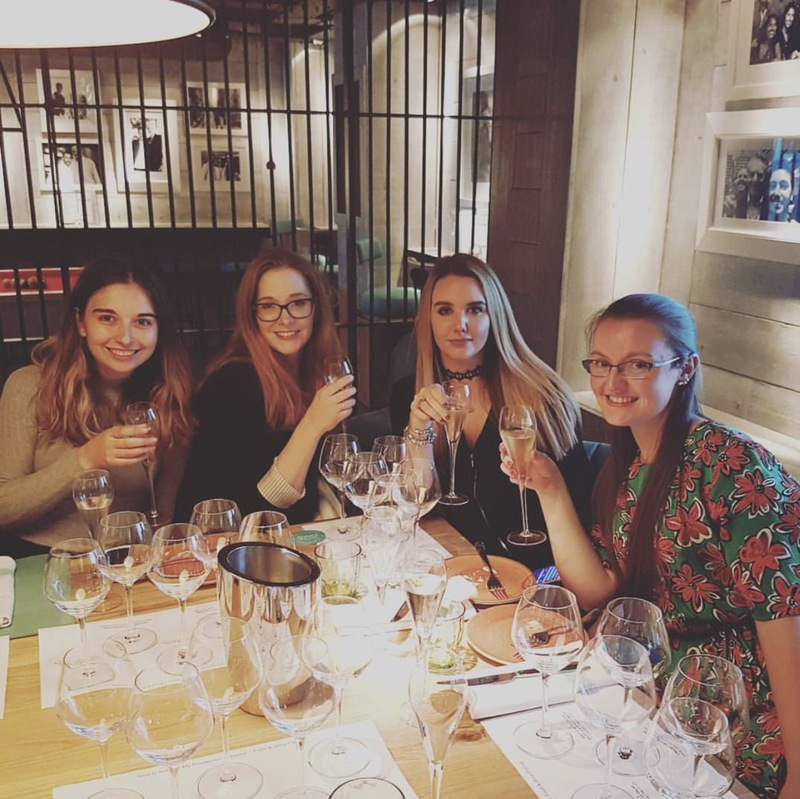 Last week i had the pleasure of attending the new Gino D’Acampo My Restaurant press event, and have a sneak peek at the new additions that will be added to the Autumn menu. The restaurant is on the corner of Castle Street, facing the Town Hall and used to be the HSBS bank, and more recently a supermarket. I didn’t really know what to expect, but the night exceeded everything i ever imagined. Firstly, I was surprised at how big the restaurant is. It was really busy too, a lot busier than i had expected considering it was a Wednesday night. The atmosphere was laid-back, but vibrant. 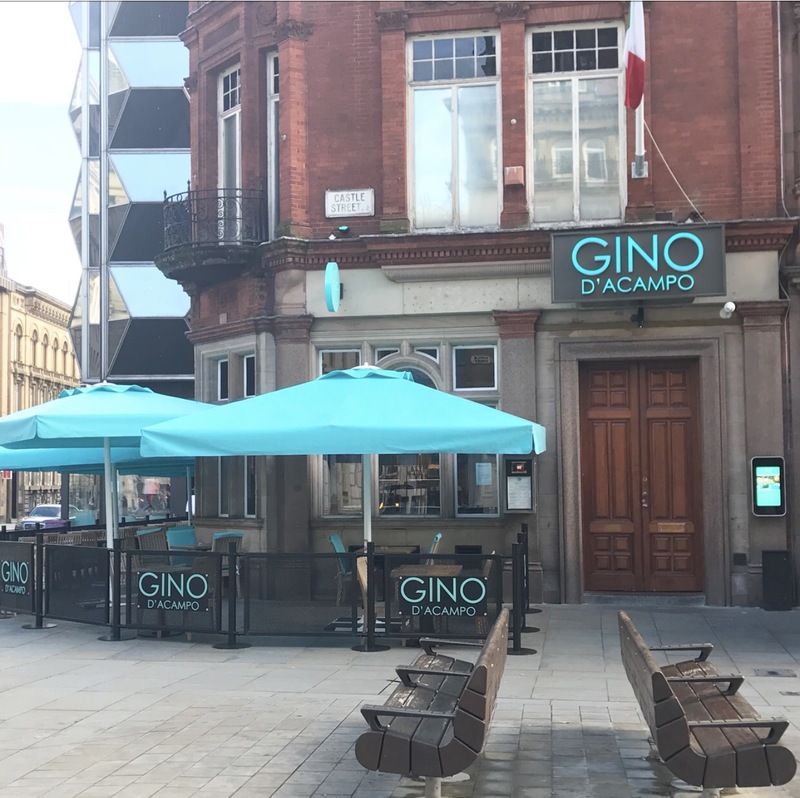 The entrance boasts a small reception and a mini shop selling Gino D’Acampo branded food & drink. There is a large bar area located to the far right and a large dining area to the left. There is also an upstairs mezzanine dining area, as well as a large open kitchen. Me and some other fellow bloggers where escorted downstairs to the private Bullion room. The building has depth and character, and every inch has been utilised and designed to perfection. The Bullion room was our home for the night. This private dining area can hold up to 30 guests and caters for any occasion, from birthday parties, small weddings to business meetings. There is a bar area, a seating area, and a games room featuring pool tables and a foosball table. We were welcomed into the room and offered a glass of prosecco. After 10 minutes of chatting and having a look around, we were asked to take to our seats. 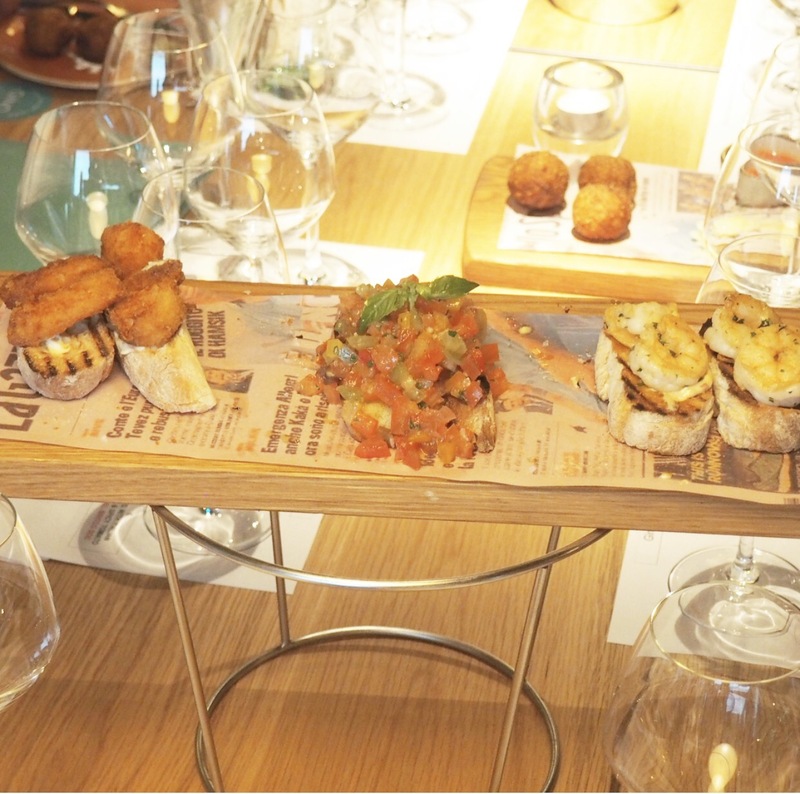 The table was set beautifully with goodie bags on our seats, and an array of antipasti platters and breads to nibble on. Even though the main man Gino, couldn’t attend the launch, he did send a video message to us all, which i thought was a thoughtful touch. It was Michela, Guiseppe, and the team that led the way. Michela told us all about the restaurant and the vision Gino had for the restaurant, and how the building had been transformed into a place where people can drink, enjoy good food and have fun, the Italian way. Michela told us that every guest who dined at Gino’s receives a free glass of Prosecco, again a nice and unique touch. Guiseppe then led the way, chatting all about prosecco and the different types, and how it is different to champagne. I have absolutely no clue about different types of champagnes, prosecco or wines, but Guiseppe was so informative and his passion and love for the topic was infectious. Accompanied by a visual slide show, I thoroughly enjoyed the informal and fun presentation. Of course getting to taste all the different type of prosecco’s that are sold at the restaurant, well that wasn’t all bad either. (Smirk emoji right here). We had a placemat, with the names of the dishes we would be trying, and the wines that would be accompanying them. An array of food was brought out, and again Guiseppe explained how each wine complimented each dish. The food was brought to our tables and we shared, tapas style. I tried the King Prawn Bruschetta, Arancini (deep fried risotto balls, with breadcrumbs, mushrooms and mozzarella) Italian sausage, friarielli, buffalo mozzarella and chilli pizza, and linguine with fresh crab. Every dish was fresh, hot and super-tasty. It’s so hard to pick a favourite, as they was all FANTASTICO. But, i had never tried friarelli before which looked like spinach and was on the pizza, it is a leafy cruciferous vegetable, and is part of the broccoli family. It had a slightly bitter taste but it complemented the creamy mozzarella and chilli perfectly, i really enjoyed it. The head chef then popped in to have a chat, talking us through the dishes we had tried, and answered any questions we had. And i can’t forget the pasta of course, 5 days following a no-carb diet, well that is the look of love right? To finish, well what else could it be but, Tiramisu? I absolutely adore Tiramisu, and this is by far the best I have ever tried. The combination of mascarpone cheese, coffee, savoiardi biscuits and amaretto liquor was nothing short of perfect, I ate all of mine, and polished off what my friends had no room for. And i say I am not a dessert person? Ha. To finish the evening we had an Amaro Montenegro, which was the perfect after dinner tipple. As you can imagine, it was an amazing night. We were truly spoilt. Great company, good wine, and amazing food. I can’t wait to return, this restaurant is a wonderful addition to our city’s ever growing social landscape. * Food & drink featured within this post were complimentary.